We offer Chatsworth GA seniors a unique and special experience for senior pictures. 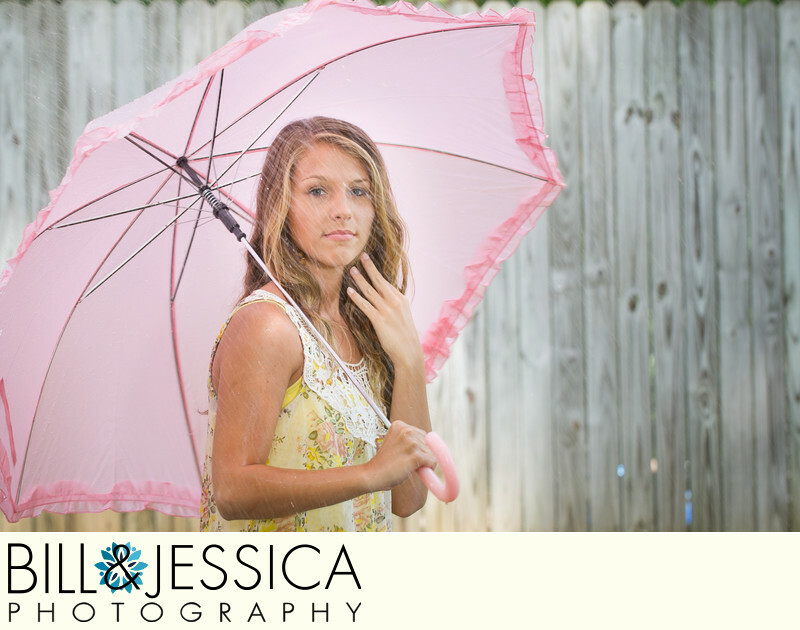 This picture of a senior girl in the rain is an example of the things we do during our senior sessions. We encourage outfit changes, different locations, all with dozens of poses. After all, it is your senior session. Location: 2568 Mount Carmel Church Road, Chatsworth, GA 30705. Keywords: Seniors (333). 1/125; f/5.0; ISO 200; 105.0 mm.